Melgarejo N1, Álvarez L1, Alonso A2. Introduction: From the most remote traditions and cultures, the employment of the medicinal plants has gone winning spaces like a form a lot but it heals of promoting health, at the present time have been carried out diverse scientific investigations that show its effectiveness in the improvement of the quality of the human being life. The poor knowledge of the health workers about posology, indications, contraindications and warnings of the phytopharmaceuticals derived from those plants limited the use of the therapeutic options. The objective of this work is to give to the facultative of primary health care one practice and effective implement for prescription of products in natural form or pharmaceuticals forms from medicinal plants. Material and Methods: The data that are shown and they prosecute of information in Natural Tradicional Medicine Programs, Guide of Natural Products, Herbal Medicine Books and diverse databases (PubMed, INFOMED,,Scielo), also the review of specialized original articles, and the author’s scientific experience in this topic. Results: The medicinal plants Interactive guide is important instruments for practice educations and adequate phytotherapeutic prescription in primary health care for professional of health .Medicinal plants in the guide approved by MINSAP show the ways of administration, posology, contraindications and warnings of them. Additional data on medicinal plants and their active principles are given to the physician can have comprehensive knowledge of the phytopharma-ceuticals derived from them. Conclusions: The Interactive guide could be represents a useful tool for professional health. Citation Format: Melgarejo N, Álvarez L, Alonso A (2015) "Medicinal Plants" interactive guide. [Abstract]. In: Proceedings of the FAPRONATURA 2015; 2015 Sep 21-25; Topes de Collantes, Sancti Spiritus: CSF. 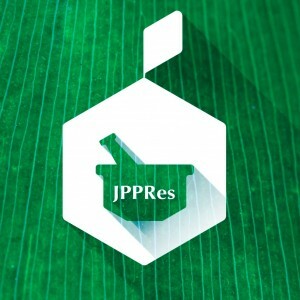 J Pharm Pharmacogn Res 3(Suppl. 1): S181. Abstract nr PISI-88.